For several days, the French press is interested in the issue of the bridge of holes. Articles that took the debate around the demolition of the building across the border. And Beyond Quiévrain too, voices are rising to protest against this decision. Among them, the voice of Stéphane Bern. The French animator, in charge of a heritage mission by French President Emmanuel Macron, has interfered in the polemic tournaisienne through a rage on the social network Twitter. 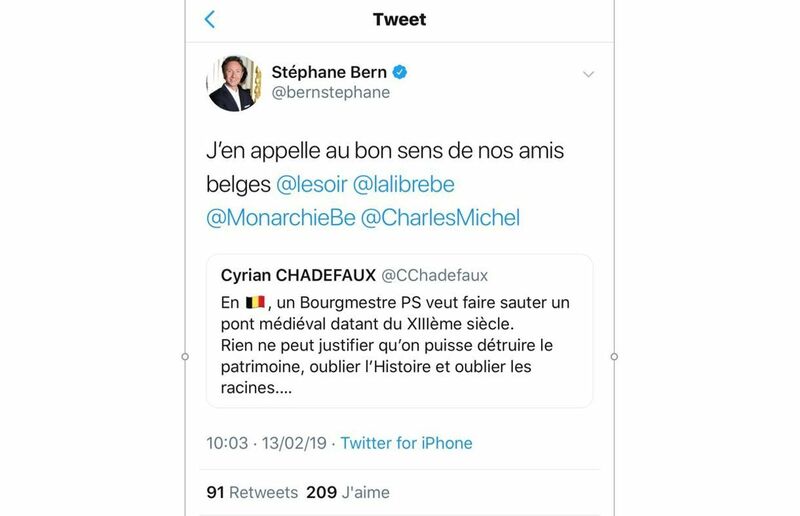 He called "his Belgian friends with common sense" interpellating the Twitter account of the monarchy and Prime Minister Charles Michel. A tweet that he deleted in the wake, while then indicating that he had signed the petition of Archeologia.be. Petition which rose to nearly 13 thousand signatures following this media support. As a reminder, the current bridge will be destroyed to make room for a project of three contemporary arches. 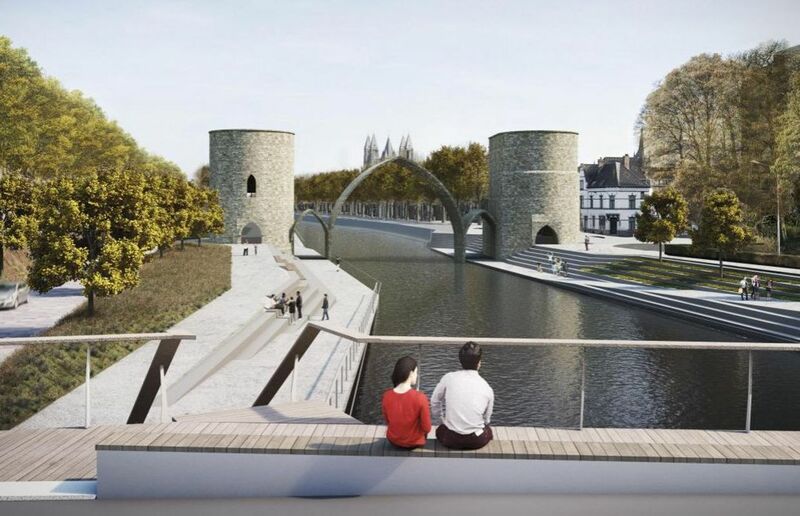 The objective is to move larger barges on the Scheldt to Tournai, as part of the possible construction of the Seine-North canal on the French side. Work should begin in the coming months. Opponents of the new project fear that this work will result in the decommissioning of the UNESCO Belfry and World Heritage Cathedral. Proponents of the new project oppose another argument: the current bridge of holes is no longer the original one. The arches were indeed destroyed during the war, before being rebuilt. The evolution before / after is to discover below.